Taichi Panda Official Forum • View topic - Panda 'Round the World! Hello all you pandas from exciting places! 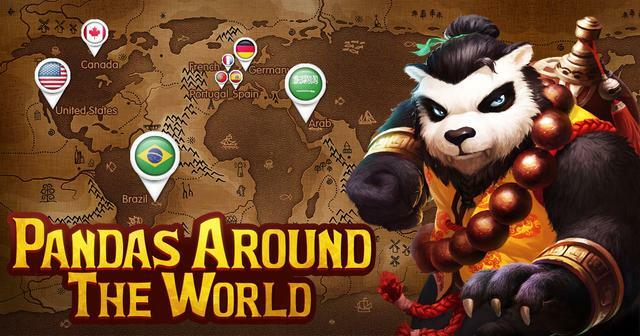 We've been so blessed to have an amazing community of players scattered across the world, and we're very excited to announce a special new event for all our international players - the Panda 'Round the World program! As many of you realize, Taichi Panda is constantly expanding its playable languages, and we'd like the help of you the players to make sure that our community continues to reach unprecedented levels of awesomeness! To do this, we are recruiting partners from within the community from around the world to help run special community fan pages on social media. Those who are chosen to join the program will help our community team to set up and run Facebook community fan pages in their own native tongue for their regions community. In exchange, these international Panda ambassadors will receive a reward in Diamonds. Include all this info in your email and we will be in touch about possible partnerships. Submit your application to us by email today and help spread Taichi Panda to every corner of the world!